There’s a certain je ne sais quoi about Sue-Shan Quek. 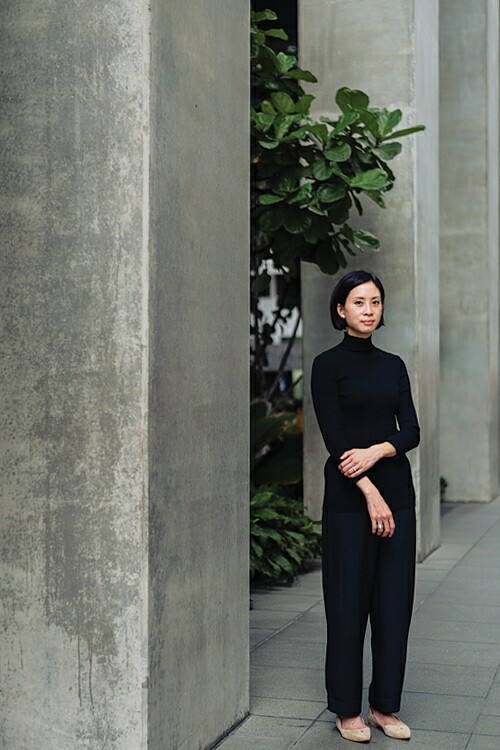 Perhaps it is her chic, all-black ensemble—a simple long-sleeve top paired with high-waisted, wide-legged pants and ballet flats—that is responsible for drawing my mind to whispering thoughts of Audrey Hepburn. With no extraneous accessorising and wearing her short bob tucked neatly behind her ears, there is a streamlined elegance to Sue-Shan’s appearance that is reminiscent of the classic beauty. Yet, the more time I spend with her, it’s her quiet, even unassuming air that fascinates me—one that radiates a gentle confidence. With a background in advertising and design, Sue-Shan is the unlikely founder of The Supermarket Company, which runs a group of F&B establishments. In 2012, she partnered with chef-owner Joseph Yeo, to open their first outlet, SPRMRKT at McCallum Street, and have since opened up two more at Cluny Court and STPI. 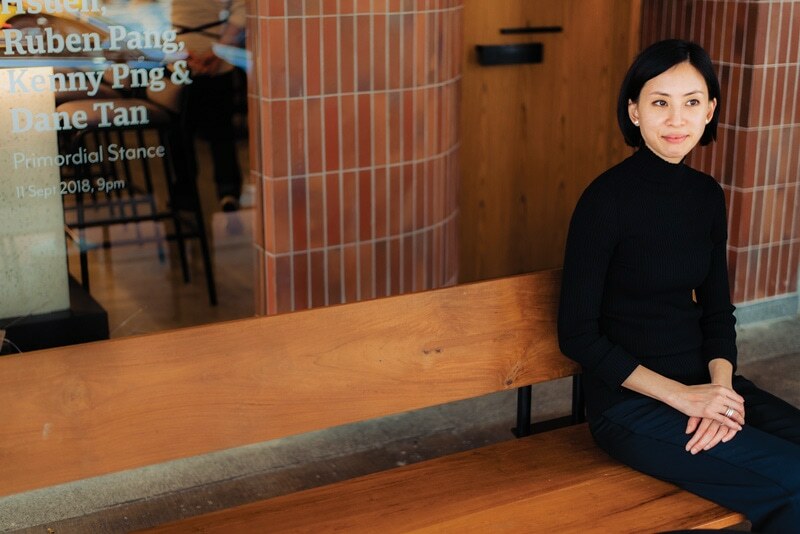 Recently, Sue-Shan launched Telok Ayer Arts Club (in the McCallum Street space previously occupied by SPRMRKT) with Hasnor Sidik, who also doubles as the club's music director. It's an arts-centred experiential space that weaves together dining, drinks, music and art at the heart of Singapore’s central business district. This might seem to be an ambitious project, especially given the esoteric nature of art, but Sue-Shan isn't one to shy away from challenges, having dealt with her fair share of failures in the past. TEO REN FENG: First off, how did you come up with the name “SPRMRKT”? 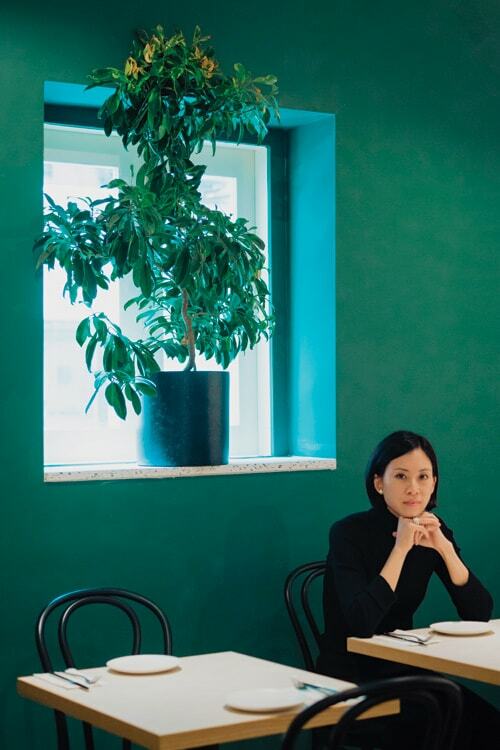 SUE-SHAN QUEK: My business partner Joseph and I were thinking through names, and even though we knew that it was always going to be quite food-centric, there had to be a lifestyle element as well. One day, the term just suddenly came up between us and although we wanted to spell it fully, like "Supermarket", that was already taken. We went back to the drawing board and I thought: Why do we have to be so obvious about what we do? We're an F&B space, that’s also offering art and artisanal products. So we decided to drop the vowels. REN FENG: The name does stick. REN FENG: You’ve wanted to run your own café since you were 16. What gave you the decisive impetus to finally do it? SUE-SHAN: Even though I was working in vastly different fields, there was still something nagging at the back of my head, wondering what it was like to set up my own cafe and run my own business. The thought never really went away, and when I grew some savings during the years of working for my family’s company, I decided it was now or never. So meeting Joseph who was ready to step out on his own, really convinced me that I could do it—even though it was a bit of a leap into the unknown at that point. I don't think I would have gone into it myself. I always had the idea of having a partner. REN FENG: You really wouldn’t have done it alone? SUE-SHAN: It's always good to have somebody to bounce ideas off. I can be quite assertive in some of my decisions, but it's always good to have someone else’s opinion, which may not be similar to mine. Thankfully we always manage to come to some kind of consensus. There's never been a time that we both strongly disagreed on something. REN FENG: Has the appeal of running your own cafe changed with time and experience? SUE-SHAN: When we started, or when I was just dreaming about it, I never thought about how big I would want the business to grow, or the responsibilities that came with the job. But having finally begun, there's no looking back. I still enjoy the work a good deal, even though it's very different from when I first started out and was doing the day-in and day-out operations. These days, it's about seeing the business grow and taking on very different responsibilities. I don't know if I see it as appealing? Not really. But the idea of growing it into a serious enterprise, and getting people to take us seriously as an organisation is something I hope we can do. REN FENG: Do you have a growth strategy like a 5-year plan or any significant milestones that you want to hit? REN FENG: How do you know when your business is ready to grow? SUE-SHAN: I don't know? [laughs] I really don't. I say that because I've made some terrible decisions in the past—you would think that the minute you start making some profit, the first thing you do is to expand. We did that, and in hindsight, it wasn't a great decision. With Koskos (a food and beverage kiosk, a bakery and retail space), for example, even though we didn't lose money with that venture, we definitely lost a sum of investment that could have been better used otherwise. REN FENG: What was the key takeaway for you? SUE-SHAN: Don't make rash decisions, although I always do. [laughs] It made me realise that there will always be a lot of opportunities being presented to us, and we need to be more conscious about what’s worth committing to. 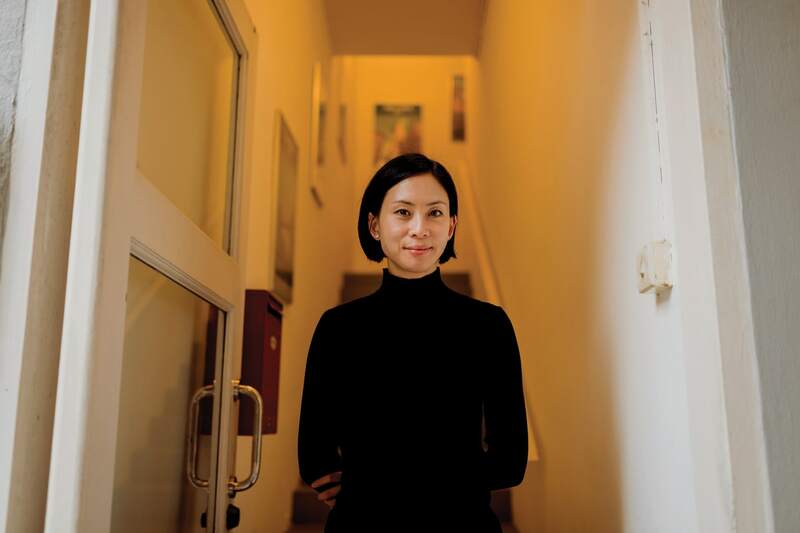 REN FENG: So what’s your new approach before you decide to take on a new venture? SUE-SHAN: I look at hard facts like where the location is, and do rough feasibility studies whether we can make money. It's also important to have an open discussion with the key people in our team to see if they are also ready to expand operations. It’s no longer just my decision alone, but something that involves the team. REN FENG: What’s the most important lesson you’ve learnt? SUE-SHAN: I learned that I have to be realistic about how the business is performing, as well as my dreams and goals. As the founder, we're always thinking about the possibilities and what we want for the business. But the truth is that success hinges on how well you execute and whether you have a strong team. Hiring the right people is also important; you need to know who to bring on board and the type of people who can fulfil what the business requires at a certain point in time. Don’t just hire managers just because you think they are the most experienced and can just run the show. It’s more than just the people on top, but the running of the day-to-day that’s equally important. REN FENG: You come from a prominent business family. Do you ever look to them for advice or help? SUE-SHAN: I definitely keep my work and family life as separate as I can, though they do still offer advice and tell me that I'm crazy for doing what I do. They’re fine with me being a businesswoman, but not being a businesswoman in F&B because they know how much work is required—for very little result. REN FENG: They weren’t very keen on you starting SPRMRKT? REN FENG: How do your parents feel about your work now? SUE-SHAN: The fact that they make reservations and come to dine at our outlets means that they are quite accepting of what I’m doing. Still, they're always reminding me that the most important thing is to be able to make money. And I go, “Just how much money do you want me to make? !” I do see their point and they also know that it's very difficult to make a lot of money in F&B, but the main takeaway from them is to make sure that the business doesn't lose money and can sustain itself. It’s fine to be able to pay my staff well and grow slowly, but steadily. This isn’t really about making money the way tech companies do. My main mission right now is to look after the people that are working for me. REN FENG: Do you think in spite of their initial disapproval, your family might have stepped in to help if let’s say things did not turn out well? SUE-SHAN: Probably not. That's not how they work. They are hard on me and if things don't work, I would have had to face the hard lessons. They were never quite convinced about how serious I was, until the third or fourth year of business. REN FENG: What’s been your greatest failure thus far? REN FENG: Are you a big risk-taker? SUE-SHAN: I would say that I used to be one when I was younger. REN FENG: Does the difference lie in your age? SUE-SHAN: I still take risks, but it's a lot more considered. It has to do with feeling as well... I hate to say that but it's not just about calculating the risks. If you have a good feeling about the team and the business as a whole, sometimes that’s all you need to encourage you to go ahead. REN FENG: Do you think running SPRMRKT has given you a definite direction in life? SUE-SHAN: My direction from my family has always been very clear, but I’ve always known that I wanted to run my own business—it was just how far I'd get with it, and what I'd do that I didn't know. REN FENG: Do you feel that you've found your life's work? SUE-SHAN: I could never feel content... Someone was just asking me how I define art, and I view life as something like art, which is a series of endeavours. We go through different phases accomplishing different things, and after each achievement, you always feel that you want to move on to the next project. I think that's very similar to how artists think, which is always about creating and creating... It’s a journey where there are moments of contentment, but always aspirations to do more and better. So I can’t say that this is my life's calling, but I guess it serves my purpose for now. I don't think that this is all there is. REN FENG: What do you think is our larger purpose in life? 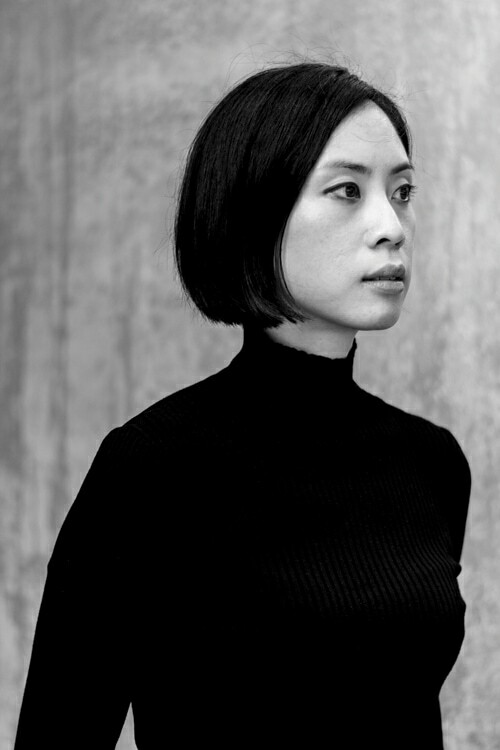 SUE-SHAN: I think it's really about doing good, to create meaning not just in my life but for the people around me as well. My main mission right now is to look after the people that are working for me. It's become a little less about the business but the people, and not in a bad way. I think we never really feel content, but luckily, we still have things and moments that can make us feel happy. I’ve always been of the belief that one cannot achieve their dreams alone. REN FENG: What does success mean to you? SUE-SHAN: Being able to go on a one-month holiday and come back to a workplace where everything is running like clockwork. REN FENG: What’s been the most formative experience of your life? SUE-SHAN: Starting my own business 5 to 6 years ago. It was really putting myself out there when no one else really believed in what I was doing. I had support from friends, but I would have liked that emotional support from my family too. I was so determined to accomplish something, it seemed almost like wanting to prove myself, and was that necessary? I don't know, maybe not. REN FENG: Do you still feel like you’re trying to prove yourself? SUE-SHAN: No, I don't think that is the case right now. My focus at the moment is on really improving how we operate the business and do things right. We’re thinking a lot about organisational development and how to build a good company culture with great HR policies to implement. It's become about how I can look after people. REN FENG: Why is that so important now? SUE-SHAN: I’ve always been of the belief that one cannot achieve their dreams alone. So this business is also about making sure that the people who believe in this dream together with me, are well taken care of too. When we first started, I made the decision to be in operations and part of the service crew in SPRMRKT for at least 2 years. I’ve decided to move out of that work, because if we really want to grow from that first 'mom-and-pop' shop phase, I needed to start thinking about it from a much broader perspective. Your people, your staff that join you also want to see growth. How do you create that kind of progression for them? Back when we first started, it was simply about being able to execute the idea. People got it and that's the reason why they join you, because the vision or idea attracts them. And then what? You're not just looking after them but their families too, for those who are married. You want to be able to provide that support and we hope we can get there together.